To help me compile this list, I recruited the help of IC/Futures, a collective of futurists at Idea Couture. The group includes Emily Empel, Mat Lincez, Jayar La Fontaine, Melissa Richer, and Shane Saunderson. Last year, the IC/Futures team brainstormed a number of jobs that are likely to appear by the 2030s. This time around, however, we gazed deeper into the future and only considered jobs that might emerge in the increasingly related fields of medicine and biotechnology. Here’s what we came up with. We have only just begun to comprehend the complexity of the relationship between human beings and the trillions of microscopic organisms that live on and inside us. But what scientists have learned so far suggests that our bodies’ micro-organismal communities play a role in everything from body weight, to energy levels, to mental health. The first ever full body scans of chemicals on the surface of human skin are revealing that many are residues from topical skin products, raising concerns that man-made chemicals are disrupting function of the skin microbiome. It’s easy to imagine a future where professional microbiome stewards assist us in becoming conscientious “shepherds” of our own microbiota, through feeding, culling, and rebalancing. Last week, scientists in China reported they had edited the genes of human embryos. The researchers had attempted to tinker with the gene behind β-thalassaemia, a dangerous blood disorder, with a technique called CRISPR/Cas9. 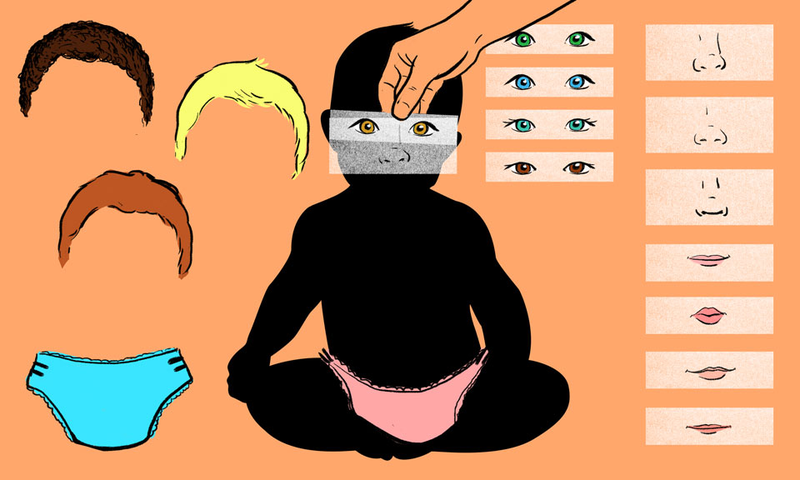 The study marks the first documented attempt at human germline editing, and has revived the debate over the ethics of human augmentation and designer babies. A Trait Selection Advisor, as portrayed in Gattaca. Germline modification could one day be used to not only mend genetic sequences, but insert new ones in pursuit of desirable traits. In the long term, we’ll have to think practically about how to regulate the market for made-to-order humans and advise parents looking to have genetically engineered children. A personal trait selection advisor could help parents understand the legal limits of germline editing while working with them to define what genetic edits might be best for their future offspring. 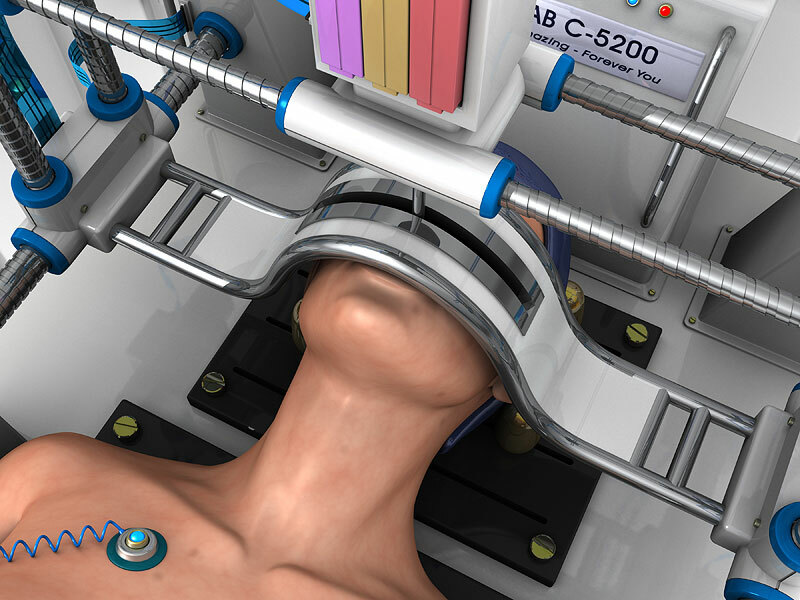 Mind uploading sounds like pure science fiction. It’s hard enough to digitize analog books without creating unwanted errors, so what hope is there for digitizing human selves? While mind uploading is certainly mind-bogglingly complex, some scientists believe it’s possible. The thinking goes like this: If our selves are encoded in the structure and activity patterns of our brains, then as long as we can capture and catalog the nanostructure of a human brain (see: #9 Connectome Architect) we can re-instantiate those same structure and activity patterns in another suitable medium that is equal or superior to brainmeat. Like, say, a mainframe computer. Mind uploading has been put forward as a possible future state for entire human civilizations. But it could also be an effective way to “warehouse” human selves whose bodies were ravaged by disease, while new bodies are being prepared for them. Who knows what effect the round trip from meat to silicon to meat would have on a human mind—especially if the person re-emerged into a radically changed world? A new class of re-integration specialist could instruct new arrivals from the digital otherworld in everything from physical therapy to new cultural norms. These new arrivals could even be suspended in a phygital zone — a sort of “halfway house” incorporating elements of digital and physical substates — so that they could acclimate themselves to life among living, breathing, excreting bodies gradually and gently. Organ shortages are already a huge problem today. Each year in the U.S. there are about 28,000 transplants while another 120,000 people are assigned to waiting lists. It has been estimated that some 35% of all annual U.S. deaths could be prevented by organ transplantation. Hence the impetus to develop lab-grown organs. As regenerative medicine continues to advance, so too will our capacity to produce organs affordably and en masse. San Diego-based Organovo is a leader in this area through its development of a 3D bio-printer. Its lab can generate mini-liver assays that are virtually identical, architecturally and biologically, to human livers. Another approach is to create a 3D scaffold of an organ, such as a heart, liver, kidney, or lung, and use a patient’s stem cells to grow an entirely new organ for transplantation. Looking to the future, and given the intense demands for organs, the job of an organ farmer could become an appealing one, indeed. Global demand for meat, fish and other sources of protein is increasing, as countries like China grow in size and economic influence. According to the UN, worldwide meat consumption per capita doubled between 1961 and 2007, and is projected to double again by 2050. Global meat demand, coupled with shortages in resources like water and arable land, is sparking innovation within the food science space. If, by 2025, meat is less available, affordable or palatable, what proteins will consumers be able to access? Today, startups like Modern Meadow and Beyond Meat are developing alternatives to farm-raised meat through in vitro and meat-substitution technologies. If the industry takes off, the demand for palatable synthetic proteins—and the people who design them—stands to flourish, as well. Scientists around the world are making headway on bringing extinct species back to life, and while there are many valid questions and concerns over the ethics of de-extinction, the process holds promise for restoring and conserving threatened environments. For instance, many varieties of elephant once roamed the earth and played an important part in the health of the planet’s ecosystems. A renewed elephant (or mammoth!) population in the US could trample dry earth in the vast desertified swaths of the American midwest, aiding human reforestation efforts. One of the biggest unknowns surrounding de-extinction is how previously extinct animals would fare in ecosystems that had, in a very real sense, left them behind. A de-extinction zoologist could help manage a species’ reintegration to the wild, and assess any unintended ecological impacts of the species’ introduction to the habitat. With a growing amount of technology being integrated onto and into our bodies, it’s not hard to envision the rise of informal specialists who can repair, upgrade, and maintain specific cybernetic add-ons. These “med-chanics” might work out of private shops, and visiting one of these shops might be like taking a car in for a tune-up. Imagine having your body-worn or embedded devices configured, repaired, or overhauled by the equivalent of a vehicle mechanic for the body. The position may lack the the emotional and psychological aspects of more traditional healthcare, but its efficiency and simplicity will be a welcome element in the future care of our cyborg selves. One possible outcome of the push for personalized medicine, low cost gene sequencing, and rapid drug prototyping is a future where small batches of highly customized drugs are designed quickly and synthesized on-demand. “Pharma artisans” might craft small-batch drugs based on a comprehensive understanding of an individual’s genetic make-up, personal health history, socio-economic environment, personal habits and daily routines, and so on. Today, cooking drugs in a private lab conjures images of outlaws and misfits working in dark and grey markets. Tomorrow, independent drug producers could occupy a more legitimate (and more therapeutic) place in the healthcare ecosystem. The human brain contains around 115,000 neurons per cubic millimeter, with each individual neuron making up to a thousand connections to the neurons around it. The complexity in a barely visible cube of brain tissue is astonishing. Now consider that the average adult brain contains around 1.3 million such cubes. That’s — to put it lightly — a lot of wiring. The task of creating a diagram that specifies these inputs and outputs — called the “human connectome” — is arguably the most complex technical project humans have ever embarked upon. But this project is probably worth the overhead. A complete human connectome could drastically improve our understanding of the circuit-level origins of brain diseases and mental illnesses. It could also help future health professionals create targeted, nano-surgical interventions on the human brain. Think about the connectome as the schematics of a building. If the building requires work on its foundations, the blueprint can help us understand what parts of the building require buttressing. In like fashion, the connectome could provide a guide for planning surgeries that reroute neuronal processes to eliminate unwanted mental characteristics (or enable desirable ones).